Sudan government troops have yet to comply with the first phase of a withdrawal schedule aimed at demilitarizing the disputed Abyei area that sits between Sudan and South Sudan. According to the timeline, signed by Sudanese and South Sudanese government officials two weeks ago, the northern Sudan Armed Forces, or SAF, should have withdrawn out of Abyei town by the end of last week. Southern and U.N. sources say that SAF remain in Abyei town. In an interview with Enough last Thursday, southern Minister for Cabinet Affairs Deng Alor Kuol, a negotiator for the southern government, said that SAF withdrawal from Abyei town had yet to begin. A more recent U.N. report seen by Enough also said that northern soldiers continue to occupy Abyei town. The redeployment of the northern and southern army out of Abyei, a contested area that was militarily overtaken and occupied by northern forces in early May, is a key condition before the estimated 110,000 individuals displaced by the violence can return home. SAF redeployment may just be getting underway. According to the U.N. report, SAF troops were observed packing equipment in the last week. 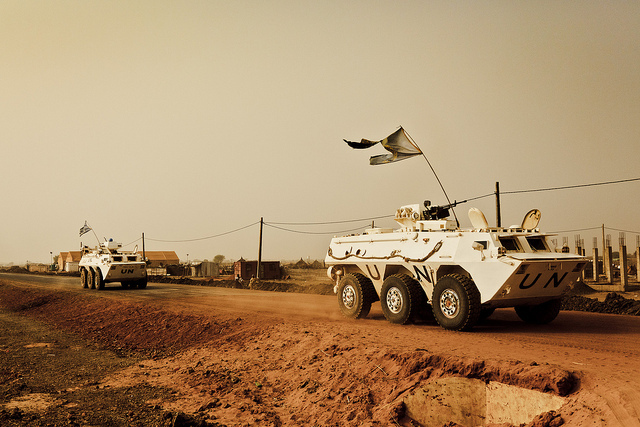 Last Saturday, 20 SAF vehicles were also seen moving past the town of Diffra—which lies near the northern border of Abyei—the report said. Beyond Abyei’s northern boundaries lies South Kordofan state, where government forces and the insurgent SPLA-N have been fighting for over three months. Redeployed SAF from Abyei may well join the frontlines in South Kordofan. The U.N. report also indicated that “only a few” SPLA remained in Abyei area, though it did not specify where. According to the withdrawal agreement, the SPLA should fully withdraw from the area by the end of this week. [B]oth the Government of Sudan and the Government of South Sudan remain committed to securing the final withdrawal of all troops and militias from Abyei by the end of September. By the end of this month, only UN forces shall have a presence in the Abyei Area as defined by the Permanent Court of Arbitration. The withdrawal of forces from the volatile region is one of the key first steps in a larger agreement signed in June meant to provide temporary administrative and security arrangements for Abyei until its status—whether it belongs to the North or the South—is decided. Among other items, the agreement provides for the deployment of Ethiopian peacekeepers, a police force, and a local government. Notably, the agreement did not include a specific mechanism or timeline for deciding the region’s final status, leaving Abyei’s residents in a continued limbo and skeptical of the merits of this latest agreement. Whether the withdrawal of forces is implemented will be a clear indication of whether the two governments and the international community are serious in pushing toward a final solution for the area and its population.